Many people these days have gotten rid of laptops, desktops, and even their phones in exchange for iPads and other tablets. Many people use their iPad at work, at home and on-the-go. In order to protect and work efficiently with an iPad, you must have a good protective cover or folio! I found an awesome one from Levenger, a company that creates useful and beautiful products that help people achieve their goals and fulfill their aspirations. The Work & Play iPad® Folio doubles the power of your technology! To get the most from digital technology, pair it with the tangible technology of paper. In this sleek folio, your iPad and the notepad work side by side, giving you the power of both exploration and contemplation. And this folio works for every way you use your iPad. Perhaps you want to angle your iPad to watch a film or read an eBook. Or hold it to take a photo. And have it with your notepad at a meeting. For every which way you use your iPad, it’s a perfect fit in the Work & Play folio. 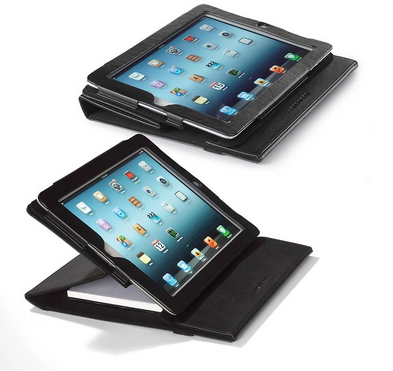 With this iPad folio, you can use your iPad for all these purposes while you keep it protected. Plus, you can leverage the power of your iPad by pairing it with the high-quality Levenger notepad that comes as part of your folio. One of the best things about this folio is that you can view it at a comfortable angle. Your iPad is safely, softly cradled in a magnetically secured leather holder. When you want to angle your iPad for viewing, simply open the folio, pull the cover up and over, and it will sit at a comfortable angle for reading or viewing. You can also set the cover at the optimum angle for typing. What I think this folio works best for is working! With this iPad folio, you can work more productively, with this note-taking tool! 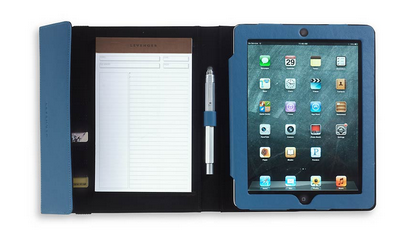 At meetings, for research, when planning or just plain pondering, marry your iPad with the Levenger notepad. Why take advantage of just one technology when you can leverage the power of two? When the social power of the iPad meets the contemplative power of good paper, you have the best of both. It also works great whether you are right handed or left! You can insert the Levenger notepad from either end of the folio, so it works whether you’re right-handed or left-handed. You can also rotate the magnetic iPad holder for right or left hand usage. So whether you like to use your iPad for work or play, get this awesome Work & Play iPad Folio from Leverage to protect your iPad, double your activity and effectiveness at work, and view your iPad at the best angle! 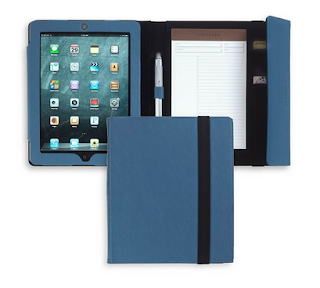 Buy It: You can purchase the Work & Play iPad® Folio ON SALE for $119.00 (Saving you 20%!) from the Levenger website.